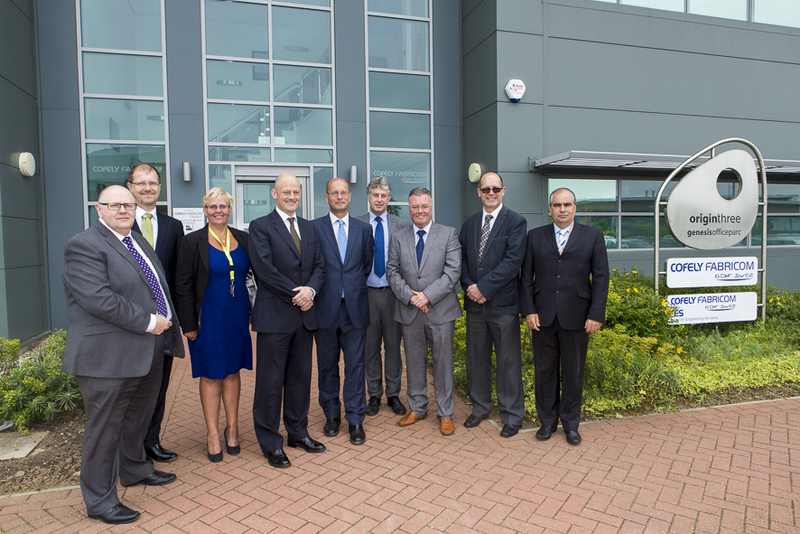 Leading engineering company Cofely Fabricom GDF SUEZ is marking its 40th anniversary by moving its headquarters to North East Lincolnshire’s flagship business park, Europarc. The company is bringing together its corporate and engineering operations under one roof to further enhance its service to clients, which include some of the biggest names in the energy industry. Cofely Fabricom GDF SUEZ has brought together operations from Immingham and Brigg into the Origin 3 complex on the premium Genesis Office Park, part of Europarc. Nigel Carlton, Cofely Fabricom GDF SUEZ chief executive officer UK, said: “Our headquarters needed to reflect the organisation as we are today and allow for further growth, creating new jobs in the region. “We have a programme to recruit people who have the right technical skills and experience to meet our growing business needs. All our staff are pleased with the new offices which provide state of the art facilities and services. Europarc began to take shape in 2000 and has been a steady magnet for inward investment as well as local businesses looking to expand and relocate. Some 2,000 people work on the business park. Work recently started on the next phase of Europarc. Infrastructure work will open up the 6.5 acres adjacent to the main approach road into the site to make way for the Europarc Village, where a new pub/restaurant operation is under construction and scheduled to open in October 2014. Wykeland purchased the remaining development land from Yorkshire Forward in 2011 and has planning permission for more than 600,000 sqft on the remaining 46 acres for a mixture of manufacturing, office and warehousing facilities.